Karl Borris was born on 3 March 1916 at Heinsdorf in the Juterborg region of Mark Brandenburg. Leutnant Borris joined JG 26 in December 1939 and served with the unit until V-E Day. Leutnant Borris was initially assigned to 5./JG 26. Borris saw combat during the invasion of the low-countries and France. On 13 May 1940, RAF Defiant fighters shot him down over the Dutch coast. Borris baled out of his stricken Bf 109 E-3 near Dordrecht. He managed to return to his unit on 17 May 1940. Borris claimed his first victories during the British Army’s evacuation at Dunkirk in early June 1940. Borris paticipated in the Battle of Britain. By the end of 1940, he had recorded six victories. In March 1941, Borris was serving as Technischer Offizier of II./JG 26 and was ordered to report to the Reichsluftfahrtministerium’s test centre at Rechlin with some 30 selected technicians. Awaiting them there were six pre-production Focke Wulf Fw 190 A-0 fighters. This little force was christened Eprobungstaffel 190. They did much to ensure the Fw 190’s acceptance into service. 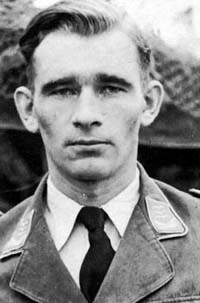 On 10 November 1941, Oberleutnant Borris was appointed Staffelkapitän of 8./JG 26. By the end of 1941 his victory total had reached nine. He continued to add to his tally during 1942 to reach 21 victories by the end of the year. On 14 May 1943, he was hit by return fire from USAAF B-17 four-engine bombers he was attacking over Wevelgem. He baled out of his Fw 190 A-5 (W.Nr. 7326) “Black 19” but his parachute partially collapsed. He suffered numerous broken bones on landing necessitating a lengthy stay in hospital. Hauptmann Borris became Gruppenkommandeur of I./JG 26 on 23 June 1943. He was promoted to the rank of Major early in April 1944. On 15 May, Borris left JG 26 for two and one-half months. He returned in early July but did not immediately reclaim command of I./JG 26. On 1 August, Major Borris resumed command of I./JG 26.  He was awarded the Ritterkreuz on 25 November for 41 victories. Borris ended the war based at Flensburg and surrendered to the British forces. Borris died on 18 August 1981 at Bornum in the Wölfenbuttel region. Karl Borris is credited with 43 victories in the West. Included in his victory total are five four-engine bombers and 28 Spitfires.